ATKT.in (or ATKT) is at heart a nationwide community of students who are talented in the arts – performing arts like singing, dancing, comedy; fine arts like photography, painting, graphic design, cartooning, etc; literary arts like poetry, short and long fiction, etc. These talented kids who create and share their work, are then surrounded by their fans and followers, and the wider audience who love to consume one or more of these art forms. In essence it is a community of the youth, by the youth and for the youth, squarely in the non-academic space. ATKT was founded by Saurabh Kanwar and Prashant Sardesai in July 2016. Saurabh Kanwar is an engineer with an MBA from Jamnalal Bajaj (JBIMS), Mumbai. He has over 20 years of experience in content and marketing roles, including for cult brands like MTV, Channel V, and Disney among others. Saurabh was a key member of the teams that built iconic properties like MTV Roadies, Get Gorgeous, Splitsvilla, etc. In 2008, Saurabh co-founded Flarepath, a content-focused digital marketing agency. Prashant Sardesai is an engineer and an MBA from IIM Calcutta (IIMC). He has over 18 years experience in the conceptualization and production of television and digital content, starting with large format game shows and talent shows in post-KBC era of television. Prashant was a project manager on the path-breaking reality show Indian Idol in 2004. He has also worked on creating one India’s first youth-focused comedy channels on YouTube – mainduck – in 2011. The core target audience that has so far organically consumed ATKT content is in the age group of 13 – 25. This is quite natural because of the type of content, qualitatively speaking the audience is: people in college, people who are soon going to enter college, and people who have just left college, but are still connected via their juniors and friends. The male-female divide is about average for internet-based platforms, though some of the content (like performance poetry) has a disproportionately higher female audience. Growth has been steady since it launched, with the current numbers as below. Given that ATKT has not done any media campaigns, Saurabh and Prashant are very happy with the numbers and the growth so far. Once the brand campaign hits, they are confident that these will shoot up. In their previous roles we had worked with large and small brands who were trying hard to engage with the youth on digital platforms. Many of the current solutions are old world than digital – mostly by taking what works on traditional media (think: print ads and TV commercials) and dumping them on Facebook and YouTube. However, even brand managers/ owners know that this is not how the young consumer engages with these platforms. Young consumers love brands who address their specific interests and give them a steady stream of content that matches those interests. Doing it the traditional way is an expensive proposition – how many TV-style ads can you make for YouTube per year, after all! However, there are a few globally successful brands – think Red Bull, for instance – who have used solid content strategies to build their brands; though even that is finally costly and takes a long-term commitment. The other strategy was to source user-generated content (UGC), but that has pitfalls of another kind, and even large UGC platforms like YouTube are having to deal with them. Brands have started to become aware of the potential of the platform to both source content for their own platforms, to engage with the platforms core audience of 13-25 year olds, or for specific brand solutions. ATKT has executed youth outreach via the platform for brands like J&J’s Clean & Clear, ITC’s Engage Deo, movies like Noor, Mirziya, and is in talks with a variety of brands across categories like e-commerce, fashion, FMCG, telecom, mobile phones, etc. As the platform becomes robust and builds properties that brands can leverage, ATKT will ramp up focused sales efforts for each of the properties. We had separately worked on various college and talent-related properties. We shared a common vision about how digital platforms and on-ground events at the college level, if leveraged well, could give rise to a huge steady flow of content that young audiences would engage with. And they could do this without breaking the bank, so to speak. The operational model is a quasi-UGC one, where talented youth and professional producers collaborate organically to output high frequency, good quality, curated content. There actually wasn’t too much thought that went into the name. We wanted something that rolled off the tongue easily, was easy to remember, and naturally – where the domain name was available. Someone in the founding team suggested ATKT, because it suggested the “non-academics” so to speak, [only in Mumbai/ Maharashtra, though] and we just went with it. For brands who want to engage their younger audiences via social media, there are some trends that are clear, and some emerging. First, it is now amply clear that consumers love videos. And now, with Facebook unfriending branded static posts in a big way, the frenzied publishing of generic updates and recycled web-content is becoming as old-fashioned as Orkut! Second, today’s content marketing needs a mix of old-school brand thinking, digital production house efficiency and the content programming and distribution chops of a TV channel. Third, social media communities can sniff the inauthentic very easily. A lot has already been said about millennials and their impact on business, especially start-ups. It bears repeating one important fact: consumers today are wary of the corporate-speak, obfuscation and dehumanization of giant enterprises. Brands will have to seek out real interests and interest groups, and find authentic ways of engaging with them. Finally, content formats will keep evolving – see how “stories” are now all pervasive – but the old school marketing fundamentals will never change: a clear, authentic message designed to address the concerns and interests of your target group will always be the starting point for all marketing efforts. With a very young team of 15 people (across video production, talent relationships, college-level liaising, digital marketing, content management and editorial), ATKT has created 1500+ videos, 1000+ blogs, and tons of allied material. And the rate of creation is increasing month on month. All this content is then distributed and marketed on digital platforms leading to 4 Million video views and about 10 million people reached across platforms (monthly numbers). to become a key element of any media plan that seeks to talk to this audience. ATKT needs to educate brand owners and media planners about the strengths of this platform vis-à-vis their current media choices. 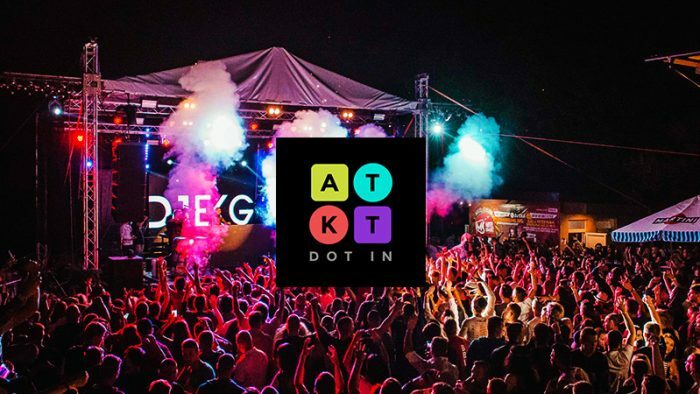 ATKT have already started their PR and marketing outreach to brand owners and planners and have already seen great traction going by the number of conversations that have opened up across categories like e-commerce, fashion, FMCG, telecom, mobile phones, etc. They also feel that owing to the dearth of good content-driven choices for media planners, this is not a market share game as much as attracting more advertiser money overall, by providing new and unique solutions to brand owners in this space. …being the gatekeepers to youth markets, particularly college-going youth, by leveraging the energy and talent that exists in them, to make them co-creators for messages rather than just “dumb audiences” who receive brand/corporate messages. Making these youth co-creators builds a sense of community which is a high barrier to entry for competitors. The revenue will come from advertisers who want to target this audience of 13-25 year old’s and are looking for more than just “buying clicks” on digital platforms via search or display advertising. Sponsored digital video has already shown some traction and the sky is the limit currently given that you would be hard-pressed to find a large spender who does not want to talk to this audience. Broadly speaking there will be a few sub-models – sponsored digital content, focused brand solutions, or associations with star talent (who will become ‘influencers’), among others. While ATKT has done a few pilot campaigns for brands in the past, they have focused on creating the minimum viable product so far. While the product is still being built out over the 12-18 months, they are in the process of marketing and selling their properties for the next college season, starting in August this year. Going by our past experience, our fear was that the popular college festivals would demand money for ATKT to access the content. As we started pitching for one of the top festivals of the country, we had an amazing meeting with the Principal (who had a reputation of being very strict with TV channels etc). At the end of the meeting, he asked us, “Does the college need to pay anything for ATKT to do all this coverage?” We had to quickly make sure that nobody heard the crash of our jaws dropping. Yes. Young energetic minds interested in content-driven digital marketing, talent spotting and grooming, creative video production, and otherwise excited about youth marketing , are all welcome!